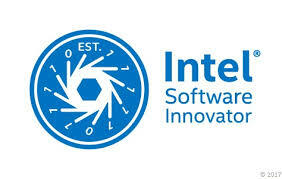 Some of you may already know that we’re participating in Intel’s Software Innovator Program. 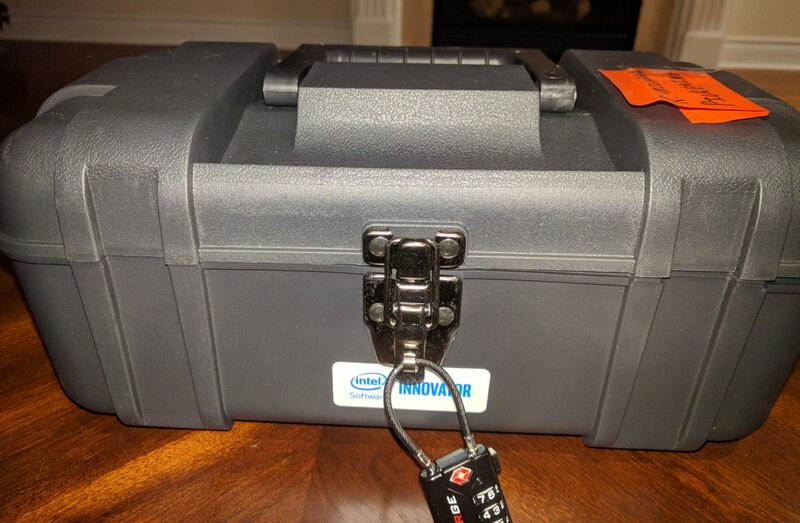 This has been a great experience so far, as it has helped us tremendously in many ways, including providing early access to Intel technical information, general help and advice with Intel’s broad portfolio of software and hardware, and sometimes even product samples! Just yesterday, a package was dropped off at my home by a courier. 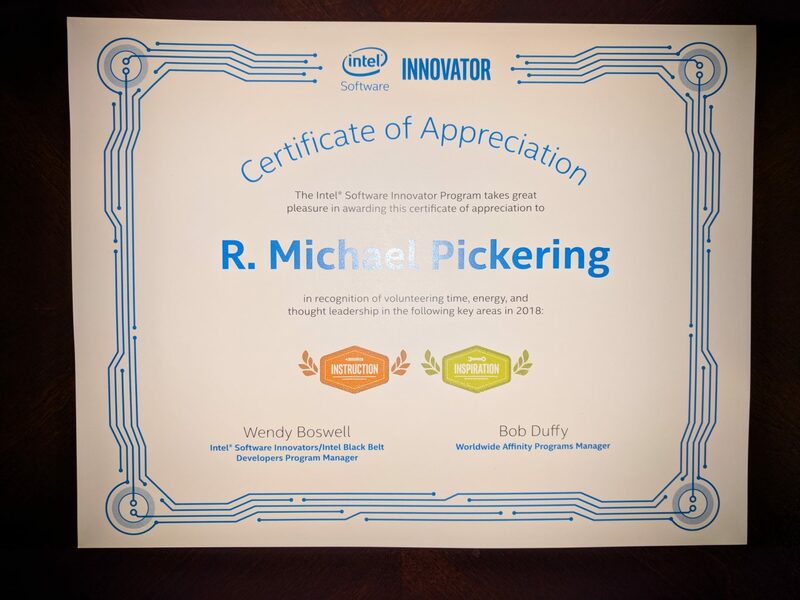 It was a medium shipping carton from an address that I’ve learned to associate with the Intel Software Innovator Program. I wasn’t actually expecting anything, and the box was unusually large considering the source, so I was quite curious to see what was inside! Upon opening the cardboard box, I found it contained another, more unusual box, as well as an envelope and certificate. The certificate is shown below. Nice of them to send this! I will have to get it framed and display it in my office! The envelope had a stamp on it, which is shown below. I’m not sure I should even be sharing what was in the envelope! 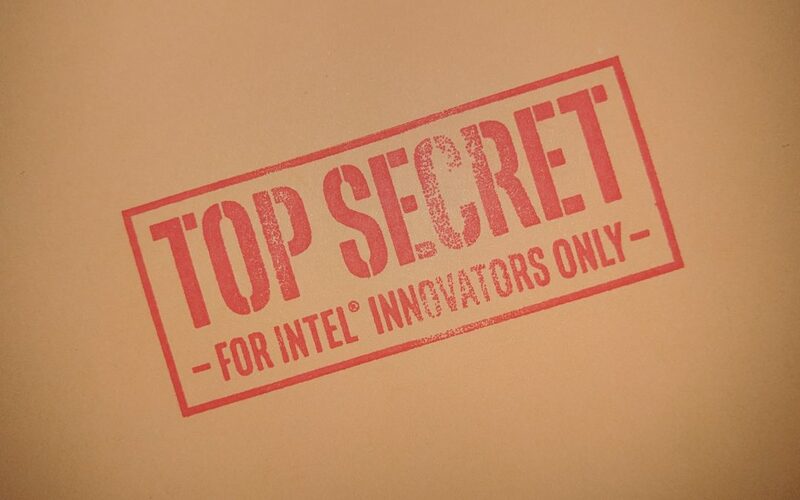 In fact, if you’re not an Intel Software Innovator, please don’t read any further in this post! Still here? 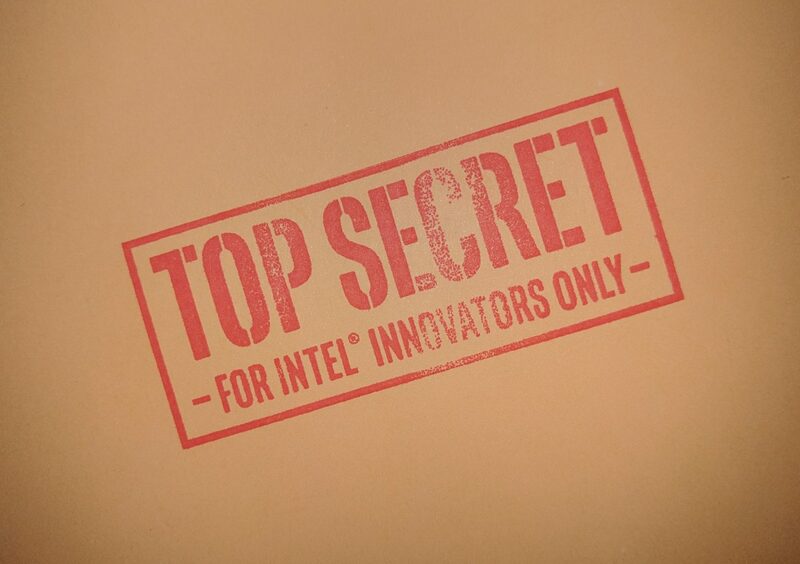 OK, you must be an Intel Software Innovator too. So please don’t share this with anyone who doesn’t know our secret handshake! The next photo shows a better view of the box, and you can see why it’s unusual. Quite mysterious and enticing looking, isn’t it? 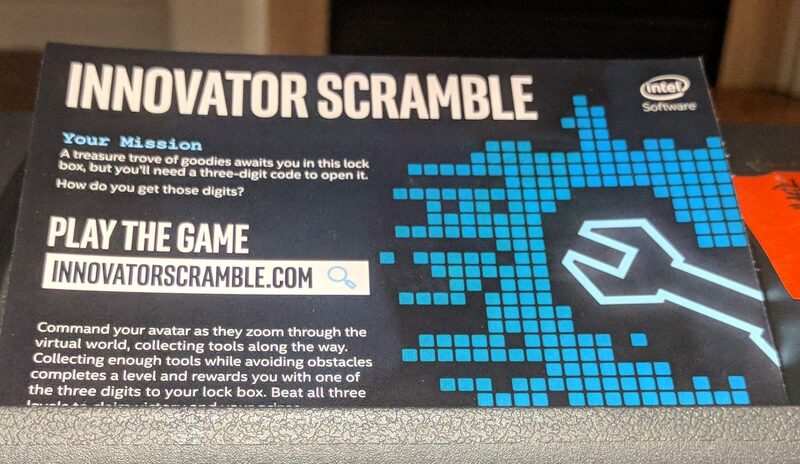 I don’t think I’ve every received a package that contains a locked box before, never mind one that also included instructions on how to play a game to find the code to unlock the box!! So, are you also curios to know what’s in the box?? Look for my next post in this series to find out!